This post may contain affiliate links. Please check out my disclaimer for more info. If you’re like most families, your food bill takes up more of your monthly budget than anything else except housing and transportation. I’ve talked in the past about how to save money on housing and transportation. Now it’s time to dive into how to save money on groceries. The truth is, it’s really easy to let your food spending get out of hand. In our family, the food budget is constantly creeping up on us. A while back we ran out of food before we ran out of month, and it sucked. I wanted to know what happened. We had the same amount of money in the budget that we usually do. I knew it was time to start getting a handle on things. Have you heard that old saying: ‘what gets measured gets managed’? Your grocery budget is something that needs to be measured and tracked. As with most things when it comes to budgeting, if you stop paying attention to it, it won’t be long before the food spending starts to get out of hand. OK, this is literally the easiest thing you can do to save money on food. Using a cashback app such as Ebates or Ibotta can really offset the amount of money you’re spending on food. They work a little differently but both apps reward you for the shopping you already do. Not a bad deal right? I have to admit, I’ve never really used Amazon for groceries until just recently. Did you know that many items you’re already buying can sometimes be found cheaper on Amazon? If you’re a Prime member, it’s even better as you’re not paying for shipping. Of course it doesn’t work for refrigerated goods but big-box commodities such as diapers, wipes cereal, snacks and many other things can sometimes be a steal on Amazon. I have a bit of a mental blockage when it comes to dollar stores. Generally, I think things sold in dollar stores must be junk but that’s not always the case. The store nearest to us has a lot of brand name canned and packaged goods for way better prices than the grocery store. Of course you have to check out your local dollar store and see what they have but it’s worth looking into. My new favorite things to buy at dollar stores are soup, pasta, sauces and snacks. 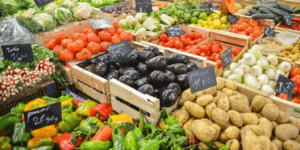 If you want to reduce your grocery budget, you need a plan! My wife and I just recently moved to planning our dinners. We make extra and turn it into lunch the following day. It takes us about 20 minutes every two weeks. I estimate that we’re saving $100-$200 per month just by doing this alone. When you plan ahead you can buy things on sale. It’s also caused us to snack less because we always know what’s coming up for dinner. You can even take this a step further and start doing meal prep for the whole month. It will save you time as well as money as you’re more likely to actually measure what’s going in to each meal. Once you’re planning your meals, it’s simple to make a quick ingredient list and compare it to what you’ve already got. Bringing a list when shopping is super important. Marketing professionals are paid big money to find ways to make you impulse buy things you didn’t plan on. Don’t give in. Bring a list and stick to it! If you didn’t need it before you came you probably still don’t need it! Unless you have a razor sharp memory for prices, it’s a good idea to keep a pricing book so you know what the major items typically cost regular price and on sale. If you see a good deal you can stock up! Alternately, if you can’t find something on sale, you can choose to wait until next week and try again. Let’s be real here – most generic brands are just as good as the name brand stuff. The Honey Oaty O’s of my childhood tasted nothing like the real deal, but generic goods have definitely increased in quality. Costco’s house brand, Kirkland, is a great example. Brand loyalty can be very expensive at the grocery store. Ever considered using a food delivery service? Most of the major grocery stores in my area offer delivery. It’s a nominal fee, around $10-15. When you add up the cost of gas, your time and the extra things you might buy in the store, it can be well worthwhile to just have somebody else pick and deliver your stuff. Some bulk items are incredibly expensive. Things like pistachios and cashews can cost more than $10 for a small bag. Once you get to the cashier it can be embarassing to have to put things back. Don’t wait until that point! We’ve all got calculators on our phones. Use the scales in the bulk section and calculate how much you’re committing to before you get to the till. It’s a good idea to buy extras when things are on a good sale. About every three months bread goes on sale for a dollar a loaf at the store we usually shop at. When it does I buy as many loaves as I can fit in our cart. Sometimes I’m able to make it through until the next sale. Generally, the more processed food is, the more expensive it will be. Pre-cut carrots and meat will always cost more than whole carrots and whole roasts. The same is true for pretty much all produce. Buy the whole item and get yourself a good chopping knife to save more money on your grocery bill. When my kids won’t eat something (seriously, almost every day) it’s tempting to just turf it. If practical and safe, just cover it and put it in the fridge for later. If you have a few stores in your area, try checking out the deals they’re offering online before you shop. It might be worth spending a few extra minutes to go to a different store to stock up on an expensive item like meat or cheese that’s on sale elsewhere. Sometimes when an item is a really good deal, stores will offer a raincheck so you can purchase the item at a later date for the sale price. It takes a few extra seconds which can be uncomfortable when there’s a lineup, but it’s a good deal. I have to admit, I much prefer buying pre-ground coffee. It’s just easier, but it’s more expensive than whole beans. It also doesn’t taste as good. Buying whole beans and grinding them at home will help you save a little extra money at the grocery store. In season food is almost always less expensive than out of season food. It makes sense. When food is out of season it must be transported much further to get to the store, and that cost is passed on to you, the customer. Even experienced cashiers sometimes make mistakes. Always give your receipt a quick check for double-scanned items. Another thing that happens to me regularly is an item will scan at the regular price instead of the sale price. Always check your receipt, it’s a simple way to save money. If you shop at a store regularly, sign up for their email or paper flyer. This way you can plan your meals around what’s on sale and know which stores to hit for certain items. 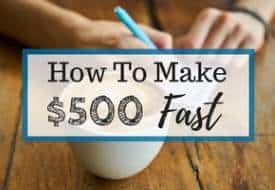 Putting together a cheap grocery list is key for frugal grocery shopping! Most stores these days have some sort of rewards program. If you buy there regularly there’s no reason not to join their rewards program. 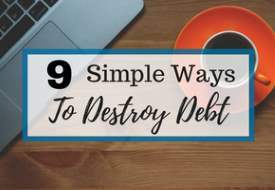 Most of them are worthwhile and will save you money in the long run. Most grocery stores are laid out in the same way. The things you need (produce, meat and dairy) are laid out around the outside. This causes you to walk past all of the unhealthy things that you don’t actually need (chips, chocolate, candy etc) to get to the things that you do. 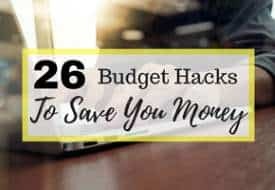 Shopping around the outside of the store is a simple way to save money on your grocery bill as you’ll have less opportunity to grab things you don’t need. If you pay in cash, you can only spend what you have on hand. Just bring the amount of money you have budgeted for food to the store and then you can’t spend more than you’ve planned on. There you have it, the best ways I know to save money on groceries. What strategies do you use to save money on groceries? Blog Report – The $100 Challenge Is Complete! Stay away from the deli and bakery department. Another tip is to not buy steak and seafood unless it’s a special occasion. These are great reminders! I always forget about the dollar stores. Shopping around the middle is a huge one for me. Since I started getting serious about reducing my grocery spending since we have 7 mouths to feed, I have found myself naturally avoided these middle aisles. This was entirely unintentional, but these aisles contain expensive, pre-processed food that is not only hard on the budget, but it’s hard on the stomach as well. we now eat much healthier and we save a TON of money in the process! It’s true – the more it’s processed, the more it costs. 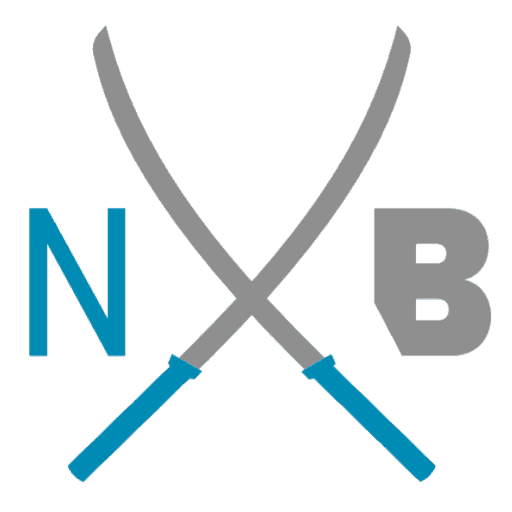 I’m the author/owner of NinjaBudgeter. 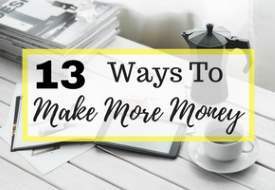 On this site I talk about how parents can make more money, save money and live a fulfilled life on a budget. 35 Cheap And Easy Meal Prep Recipes For Every Meal!